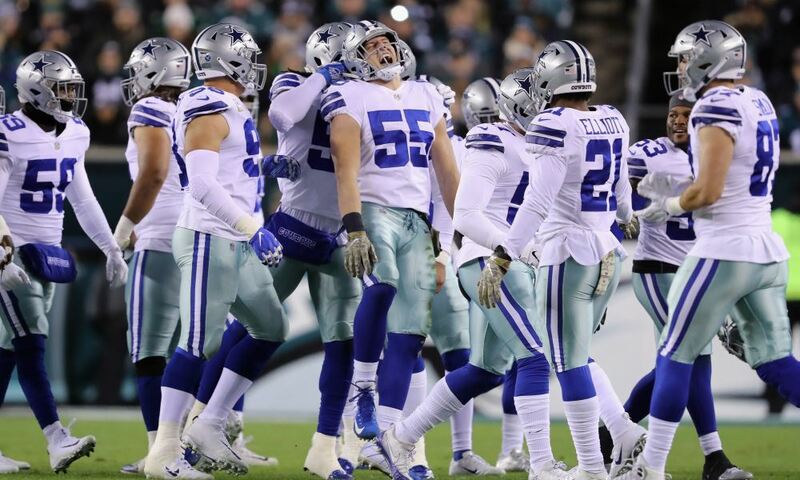 The Dallas Cowboys are likely in the time of the offseason where they begin studying this year's group of free agents to see who could be a fit for the 2019 season. With a new offensive coordinator and a mandate for an upgrade to the offensive system, it's likely they could go out and pursue several players who could step in and make an immediate impact for a team on the verge of Super Bowl contention. 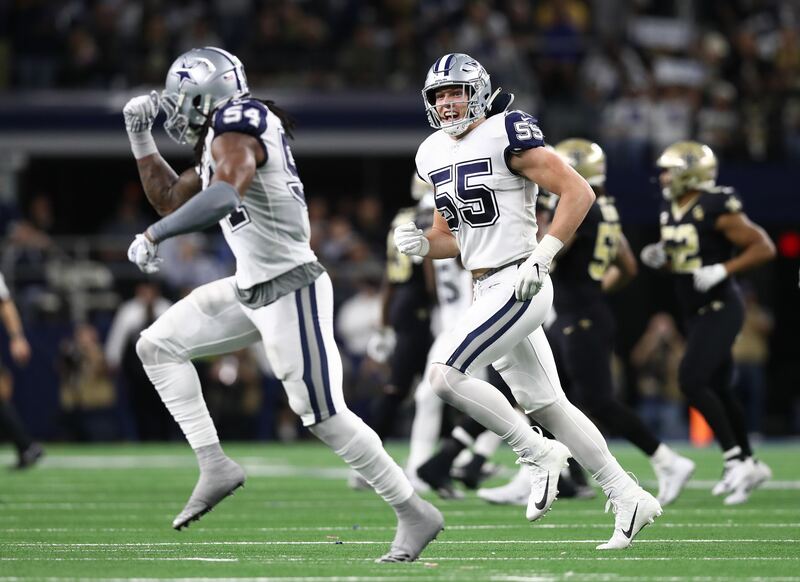 A couple of weeks ago, I talked about several under the radar offensive players, but could be targets for the Dallas Cowboys. Last week, I covered the defensive side of the football. 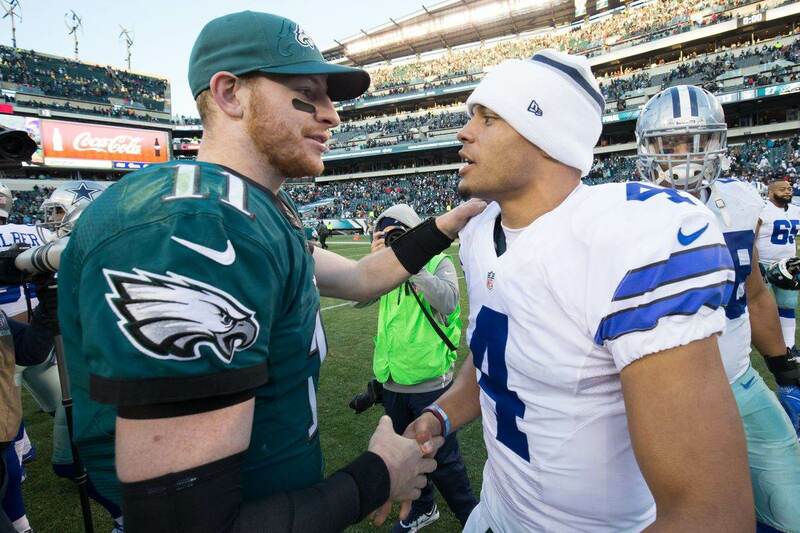 This week, I'm going to give you three that could immediately slot into roles for the Dallas Cowboys this season. It's no secret that the Dallas Cowboys will be approaching the offseason looking to upgrade their tight end group. Cowboys Executive Vice President Stephen Jones has already said as much. With the insane depth of talent at the tight end position in the NFL Draft, it's likely that's where the Cowboys will look to improve that area of the depth chart. But as we know, the Cowboys also love to use free agency to fill any glaring holes before the draft so they don't feel forced to make an addition where they don't feel comfortable. Just last April, Jason Witten announced his retirement just before the second round. Pretty much everyone assumed they would use one of their second or third round picks on a tight end to fill the Grand Canyon-like hole at tight end. While they did draft Dalton Schultz, they passed on the opportunity to take now Baltimore Ravens Tight End Mark Andrews with the 81st pick. The choice they used to take Michael Gallup. Instead, they later drafted Dalton Schultz. Well, this free agency, they'll have an opportunity to address the tight end position before they get to the draft and the top name on the list is Oakland Raiders Tight End, Jared Cook. Cook, you'll remember caught the pass from Aaron Rodgers in the 2016 divisional round matchup that led to Mason Crosby's long field goal to beat the 13-3 Dallas Cowboys. In 2018, Jared Cook led the Oakland Raiders in receptions, targets, yards, and touchdowns. Even prior to the deal that sent Amari Cooper to the Cowboys, Cook was leading the team in several, if not all of those categories. On the season he caught 68 passes on 101 targets for 896 yards and six touchdowns. Among tight ends last season he was fifth in the NFL in receptions, fifth in targets, fourth in yards, and fourth in touchdowns. All at the age of 31. He's a player that could help the Dallas Cowboys at tight end, even if it was only as a stop-gap or competition for Blake Jarwin and Dalton Schultz. He's a veteran presence that still has something to offer as a receiver. It was a disappointing season for the former second round pick of the Carolina Panthers, Devin Funchess. With no one standing in the way of him taking over as the lead receiver for Cam Newton, Funchess posted disappointing numbers catching only 44 passes on 79 targets for 549 yards and four touchdowns. After having over 800 yards and eight touchdowns in 2017, many expected that Funchess would take a step forward this season. He didn't. Over the final six games of his season, he saw only 24 targets and caught just eight passes for 104 yards and a touchdown. That's after averaging 4.5 receptions on 6.9 targets and catching three touchdowns during the first eight games of the season. 81% of his receptions and yards came over the first eight games of the season and then he just dropped off. Some of that could be due to Cam Newton's injury, but I think the more likely scenario is that Funchess took a back seat to rookie first round pick D.J. Moore, who finished the season with 788 yards on 55 receptions and two touchdowns. Moore had much more of his production over the second half of the season. He's an outside receiver that gives the Cowboys some size with his 6-4, 225 pound frame. He'd be red zone threat and with his experience outside, you could use Amari Cooper in the slot on three wide receiver sets. Funchess may not be an exciting name for the Dallas Cowboys, but he's potentially cheap and is still a very young player who has four years experience in the NFL. If the Dallas Cowboys do look to give Ezekiel Elliott a four or five-year extension this offseason or next, then they need to get serious about preserving him. In Ezekiel Elliott's two 16 game seasons, he's averaged 367 touches per season. In 2017, when he only played 10 games, he was on pace for 428 touches on the year. Yes, he's capable of shouldering that workload and is one of the elite runners in the NFL, but if you're going to hand him a ton of money, you need to take care of that asset and not run him into the ground. 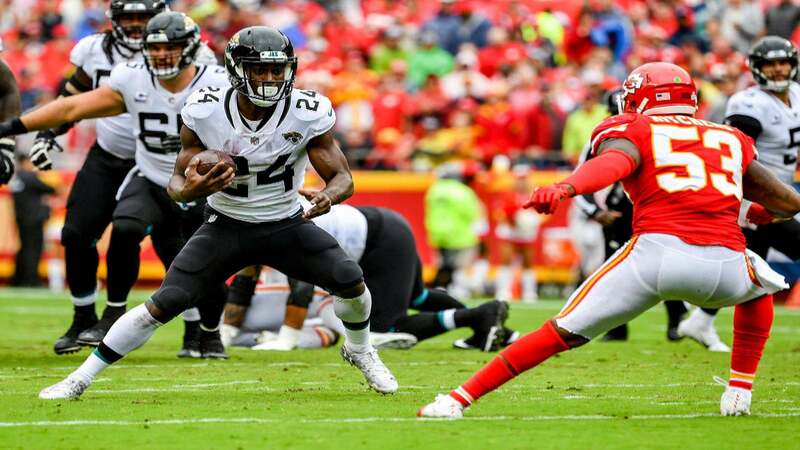 There are several running backs this free agency that are intriguing players and could be good fits for the Dallas Cowboys and Jacksonville Jaguars Running Back T.J. Yeldon is one of those guys. He's a do-it-all runner who does his best work as a receiving back. As a runner, Yeldon had a success rate 48%, per Football Outsiders. Success rate measures the frequency that a player is gaining the expected yards based on down and distance. For reference, Ezekiel Elliott had a success rate of 50% and the league leader in success rate, Gus Edwards, was successful on 63% of his runs. Yeldon averaged just under four yards per carry on 104 carries and caught 55 passes for 487 yards and five total touchdowns. Yeldon worked primarily as a backup to Leonard Fournette, but filled started four games filling in for Fournette due to injury. Yeldon would be an upgrade to Rod Smith in terms of running and receiving and would allow you to scale back on Ezekiel Elliott's touches -- especially receptions -- allowing him to stay fresher in games and throughout the season. With several really talented running backs available in free agency, it's likely that Yeldon could be without a home through the early stages of free agency and be willing to take a back up role somewhere. We're about 30 days from the start of NFL free agency and the Dallas Cowboys will likely be players in some sense. We know they like to bargain hunt in the free agent market, but I wouldn't be surprised to see them make a big splash and a few medium-sized splashes as they look to put this team over the top heading into the 2019 season.